Stovepipe dark jean in traditional denim finish. 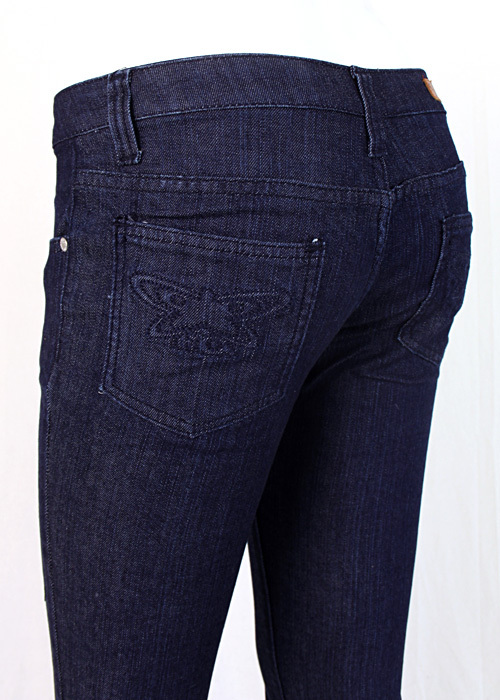 Features short fly with zip , inner button and top fastening, four and half pockets with the Face Off butterfly stitched on back pocket. 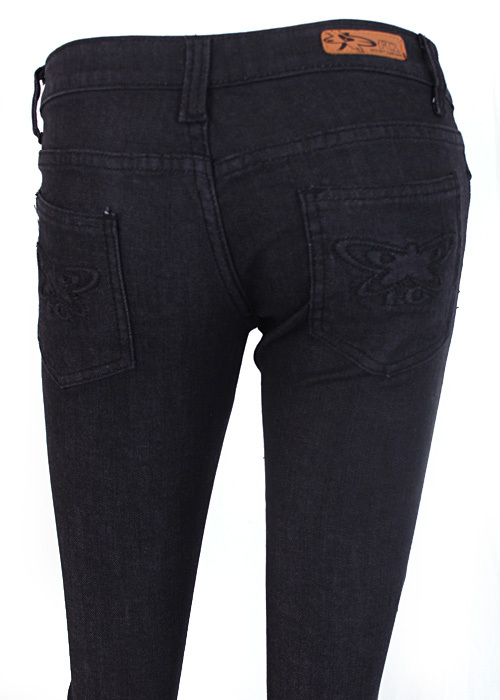 With only the tiniest amount of spandex this jean doesn’t have any extra stretch but will give a little with age and wear. This is really nice. It’s a must have jeans. When are you getting more of this in a size 6 & 7? Thanks for your feedback. At this stage, we won’t be repeating this style however be sure to check back throughout August, we will be listing over 60 classic styles in limited sizes.